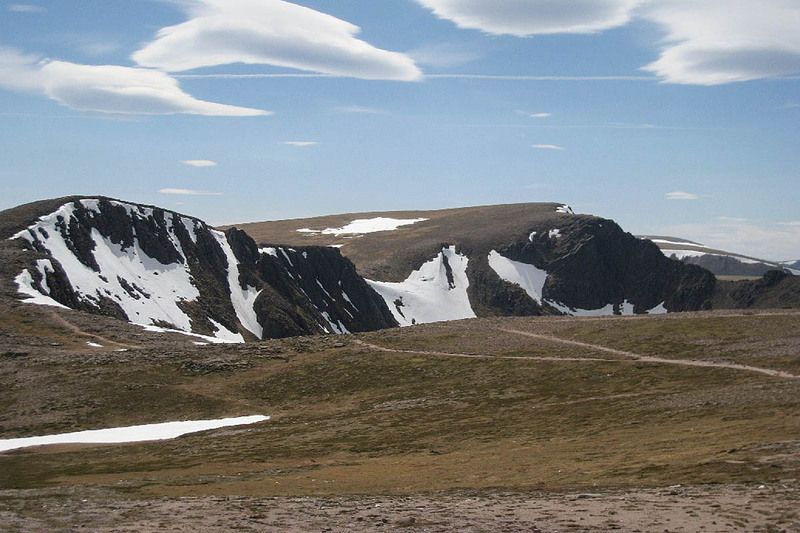 Mountain experts issued a warning to hillwalkers and climbers after two incidents in the Cairngorms in which people were injured by rockfalls. The head of Scotland’s national outdoor training centre said he believed recent weather patterns made rockfaces in certain areas less stable. Mountaineering Scotland said all hillgoers need to be vigilant when passing under mountain crags or climbing on them. Cairngorm Mountain Rescue Team described conditions in Coire an t-Sneachda on Cairn Gorm as extremely dangerous when they went to the aid of a seriously injured climber on Saturday. The team was called out again the following day to an injured climber in the same corrie. Ironically the climbers were clearing loose rock from the route when the accident happened, it said. Another incident involving a rockfall occurred on Sunday when a group was injured on Pygmy Ridge in the same corrie. MS said walkers and climbers are familiar with the shattered, loose rock around the crags and corries of Scottish mountains. The process of freezing and thawing through the winter season continues to dislodge and shatter rock faces, and natural erosion processes continue as they have since the mountains were created. Shaun Roberts, principal at the national outdoor training centre Glenmore Lodge, said: “I do believe that the nature of winters over the last decade, along with the generally more intense precipitation has had an impact on Coire an t-Sneachda. “We have experienced a number of winters with very deep snow packs, including snow lying at depth on the steep broken ground of the corrie. Over a season and under the influence of gravity this snowpack will displace, but often not dislodge, blocks and boulders of significant size, leaving behind a significant challenge for the summer climber. “And this year we enjoyed a super dry May but then received almost our monthly quota of rainfall on one day in June. Heather Morning, mountain safety advisor with Mountaineering Scotland, said: “Hillwalkers, scramblers and climbers should be extra vigilant when journeying either below or approaching scrambles and climbs, particularly if there are other parties above or there has been heavy rainfall in the previous few days.